His outstanding village schoolteachers imparted to him a love of knowledge and, in particular, mathematics. In 1947 Kostrikin entered Saratov State University. Being one of the best students there, he was transferred in 1951 to the Department of Mechanics and Mathematics at Moscow State University from which he graduated in 1952. At Moscow State University he began a long-lived association with the young professor I R Shafarevich, only six years his senior, and also began his research interests in p-groups and Lie algebras which were to dominate his research career. 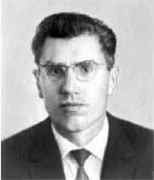 Kostrikin worked with Shafarevich as a post-graduate at the Steklov Mathematical Institute of the Academy of Sciences of the USSR and successfully submitted a candidate's dissertation (equivalent to a Ph.D.) there in 1956. Despite his illness, he continued working with graduate students up to the last days of his life. This text, intended for 19- or 20-year old students, includes such topics as: general properties of mappings and of binary relations; some properties of simple groups; theory of representations; elements of the theory of finite fields; fields of algebraic numbers; as well as traditional subjects in a first course in algebra. Matrices, rings, fields, groups, polynomials, number theory, linear groups, and modules receive considerable attention. The rotation group SO(3) even has a section. Important results are given in examples in the text, and in 200 exercises (with hints and indications). Considering the youth of the university and pedagogical institute students to whom it is addressed, the book is both demanding and challenging. Also, abstraction for the sake of abstraction is wisely postponed; the concrete examples are more helpful at this stage. The necessity of giving a unified presentation of standard course material in algebra, linear algebra and geometry has been felt for a long time. In any case, our textbook Introduction to algebra dating from almost 20 years ago was considered from the very beginning only as the first step in an integrated approach. Algebra is a living branch of mathematics which possesses a significant attraction and is based on a small number of clear, intuitive foundations. The meaning of an algebraic concept can be of a number-theoretic or geometric nature, and frequently its roots lie in computational aspects of mathematics and in the solution of equations. The principles arising from such a historical understanding and the requirements needed in a modern university textbook in algebra remain generally accepted. The whole difficulty is in the realization of more or less known ideas. The natural evolution of the standard programs, both on behalf of unifying the courses in linear algebra and higher-dimensional analytic geometry, and on behalf of separating them and sprinkling elements of number theory into a course in algebra, are reflected in the pages of the present book, which has been based on the previously mentioned textbook of the same name, although considerably extended and divided into three parts for the convenience of readers. It is self-understood that the combination of these parts must certainly contain the stable core of these three courses, i.e., the minimum that every textbook should include. Linear spaces and linear mappings. This chapter includes explanations of duality, Lie algebras, the language of category theory, and exact sequences of functors. Geometric spaces with scalar product. This chapter includes theory of orthogonalisation, self-conjugate transformations, Witt groups, and Clifford algebras. This chapter includes Desargues, Pappus, and graded modules. This chapter includes symmetry and applications to quantum mechanics. In the 1950's, Kostrikin's research centred on the restricted Burnside problem for groups of prime exponent. In the 1960's, Kostrikin studied infinite-dimensional Lie algebras of Cartan type for finite characteristic and, with Shafarevich, formulated a conjecture describing all simple Lie p-algebras for characteristic p > 5. This conjecture motivated research in the field for many years and was finally proved by R E Black and R L Wilson. ... the calculation of the number of unitary conservative complex polynomials and the determination of an upper bound in terms of p for the nilpotence class of a Lie ring having a fixed-point free automorphism of prime order. The book deals with certain "concrete" aspects of the representation theory of finite (almost) simple groups, namely with the realization of certain classes of these groups as automorphism groups of integral lattices and of related algebraic and combinatorial objects (root systems, symplectic spreads). The lattices are of a particular kind, embedded into a simple Lie algebra over C and endowed with the Killing form. The book consists almost exclusively of results obtained during the past 15 years by a group of algebraists at Moscow University, which are presented here for the first time in book form. Among the honours which were given to Kostrikin for his outstanding contributions we mention the State Prize of the USSR in 1968, election to corresponding member of the Academy of Sciences of USSR in 1976, the Lomonosov Prize in 1997, his invitation to address the International Congress of Mathematicians in Stockholm 1962 and also at the International Congress of Mathematicians in Nice 1970.